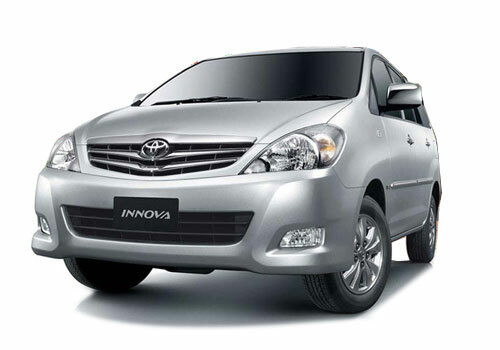 As reported earlier Toyota Kirloskar Motors , Indian arm of Japanese car maker Toyota Motors had launched the generation next Toyota Innova in Indian car market with starting price of Rs. 10.51 for the base variant with price of top end variant priced Rs. 15.80 lakh (both ex-showroom prices in New Delhi). Under the bonnet Innova 2015 remains unchanged and changes have been introduced on the exteriors and interiors of this best selling MPV from Japanese car maker. The major features that have been introduced in refreshed version are integration of dual front SRS airbags and ABS (anti lock braking system) as standard features in all the trims, the other changes introduced inside the cabin includes wooden garnish on steering wheel, oak colored interior finish and newly developed leather seat upholstery. On the exterior front MPV receives dark-grey (dual colored) grey alloys. Addressing the launch event of new Innova Mr. N. Raja, Director and Senior Vice President (Sales & Marketing) TKM said, Innova has been one of the successful and trend setter products launched by the car maker in Indian car market. This year as Innova celebrates 10 years of its successful existence in Indian car market company is thankful to its buyers for their support and trust without which it was not possible for Innova to retain its position in India.